After football season, the color guard transitions into winter guard, the competition season for color guard without the band accompanying them. On Feb. 2, the varsity color guard placed third at the WGI San Antonio Competition finals with a final score of 66.4. The color guard performed their piece titled “Endohedral,” routine that according to senior co-captain Jamie Bailey is darker than past routines they have performed. According to junior Danielle Natera, competitions early in the winter guard season are nerve-wracking due to the lack of performing experience beforehand. The morning of the competition, the color guard reported to the school at 9:45 a.m. for an hour-long rehearsal and then they traveled almost two hours to Canyon High School in New Braunfels, the location of the competition. They performed later that day, Bailey said that she was content with the results, despite not getting first. Sophomore Emily Chapa said that although she thinks they did well, there is still room for improvement for the team. “I think we would do better in the future competitions when we become more confident in what we are doing,” Chapa said. 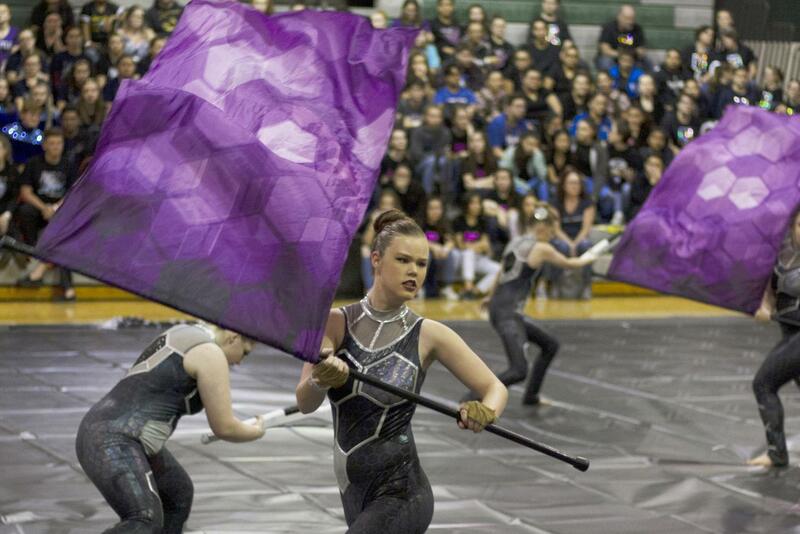 The color guard hosted Cedar Park Classical, a color guard showcase and competition, on Saturday, Feb. 23. The team performed “Endohedral” again and according to Natera, the color guard performed well among the 70 schools who performed. “We keep improving every week, and I have a feeling that this could be a very good season,” Natera said. The team captain, senior Ally Hall, said that the color guard’s improvement and overall growth this year is in part due to the expanding middle school color guard program.